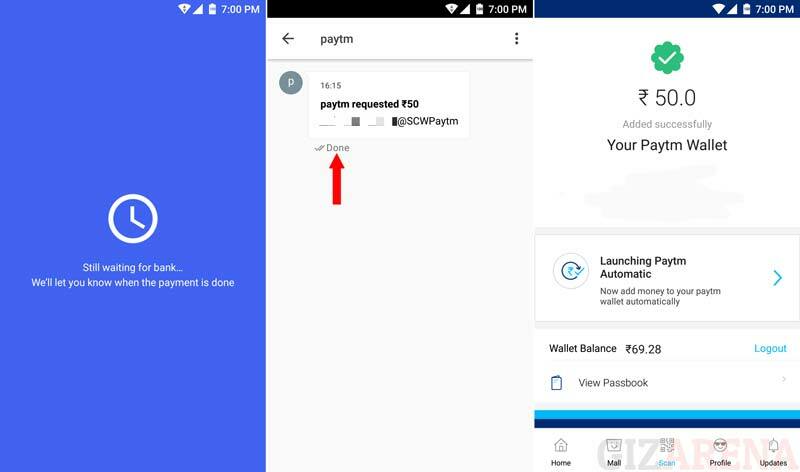 How to Add Money to Paytm Wallet Using Google Tez App? 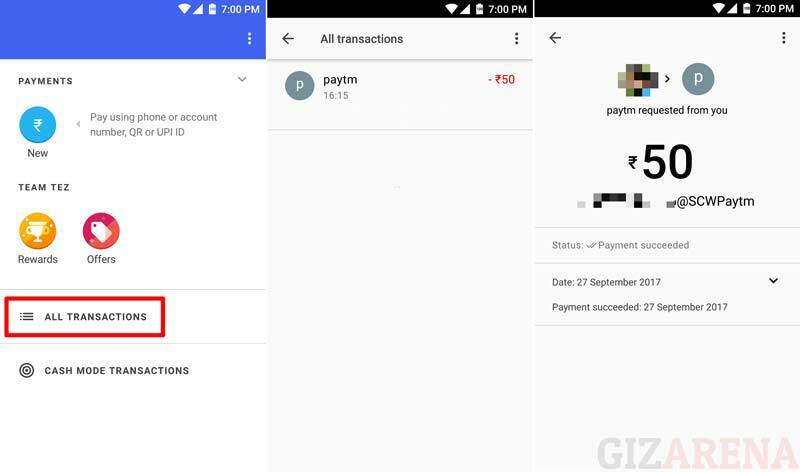 Google had launched its own UPI enabled digital banking app called Tez on 18th September 2017 that comes with various benefits including a better user interface, High-level of security, Rewards, and moreover a 24×7 customer support. You can use Tez app to send money to friends or pay at restaurants, shopping malls and also instantly receive payments directly to your bank account. Apart from direct transactions, you can also add money to digital wallets such as Paytm etc. 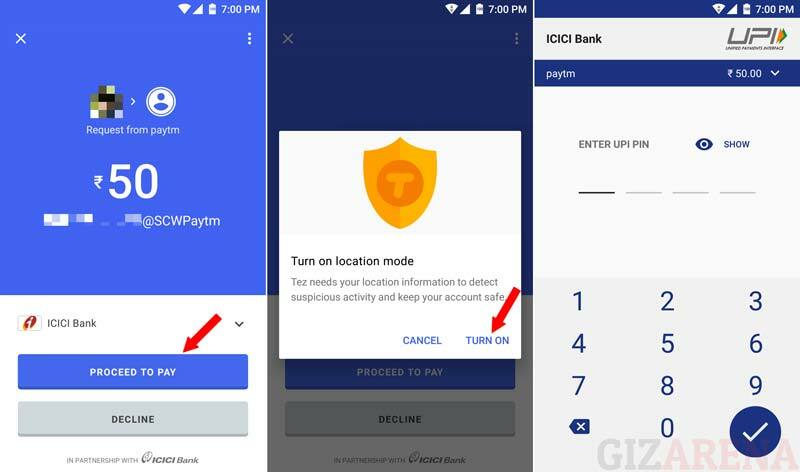 If you are a Tez user and would like to transfer money from Tez to Paytm wallet, follow the below tutorial. 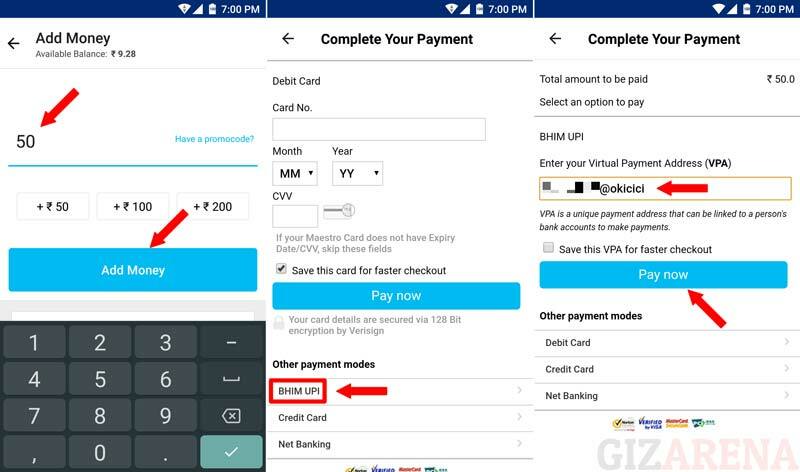 If you are a BHIM app user, follow this step by step tutorial. 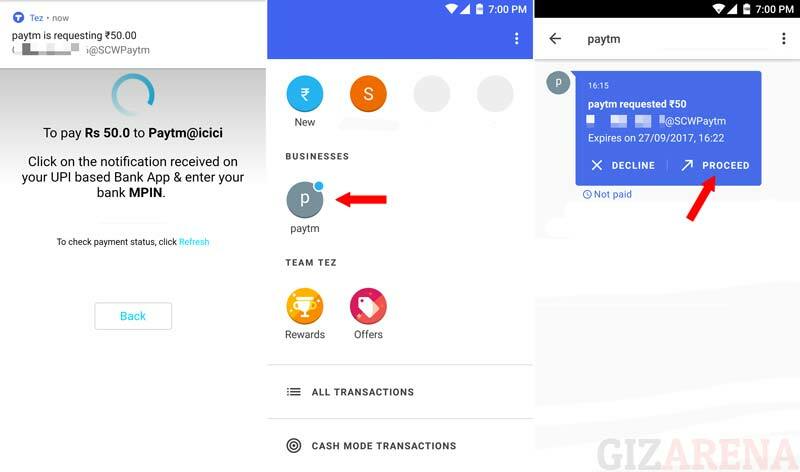 How to Send Money from Tez to Paytm? Enter your Tez UPI address which you have noted down earlier and tap on Pay Now button. If the location is disabled on your smartphone, You will get a prompt to Turn it ON. This helps Google to detect suspicious activity. Select Turn ON. To check the transaction status on the Tez app, open All Transactions from the home screen. This completes the tutorial. Follow the same method if you’re using Paytm on the Web browser. Check out this link to get answers to most Frequently Asked Questions on Tez app. Do let us know in comments if you need any further help. Please be noted, we are not associated with Tez or Google or Paytm. If you have any issues with Tez app, contact Google support by dialing 1800-419-0157. You can also reach Google support using the Tez app itself. Open the app, go to Settings -> Help & Feedback -> Select Chat or Call back. 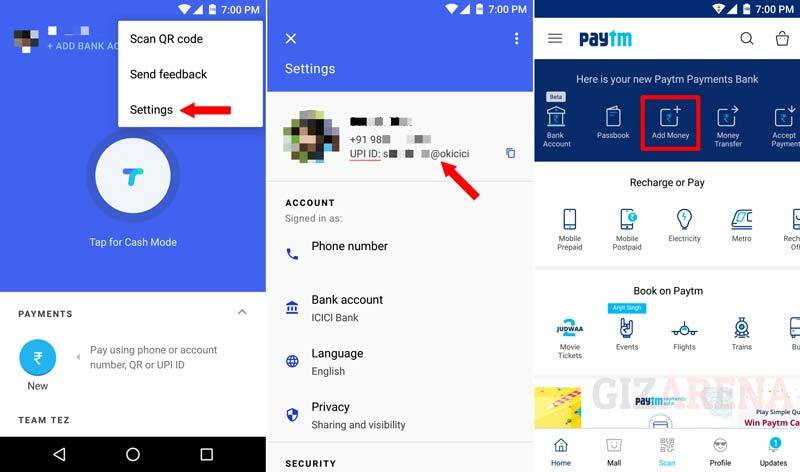 If you have any issues with Paytm, Open the app on your smartphone -> Profile -> Help & Support. Stay tuned with GizArena on Twitter and Facebook for latest tech updates.